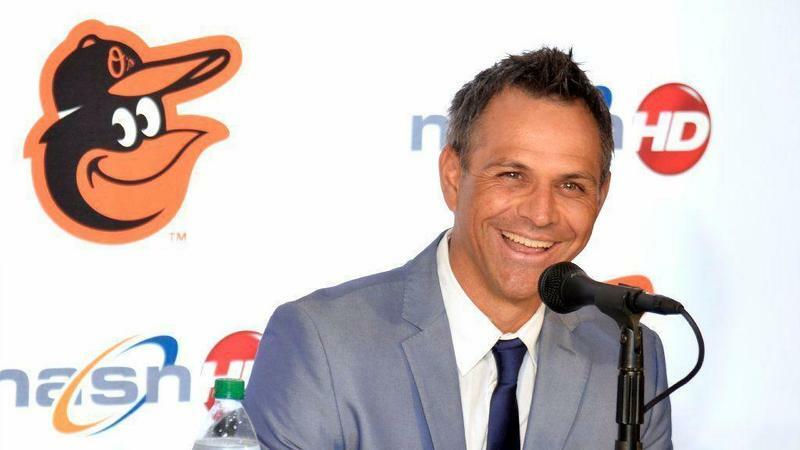 The Orioles open a four-game series against the Boston Red Sox at Camden Yards. Dylan Bundy and the Orioles are down 3-0 after a two-strike, two-out home run by Xander Bogaerts. Trey Mancini stranded two in the Orioles' first after Adam Jones and Mark Trumbo singled with two outs. They trail 3-0. Home run, Chris Davis. His 14th of the year went out to deep center, and the Orioles trail 3-1. Cedric Mullins pulled an RBI double to right field in his first major league at-bat. They are cheering at Camden Yards, and the Orioles trail 3-2. Mullins got his barrel through on 97 on his hands for his first big league hit. Adam Jones singles through the left side and Cedric Mullins follows Caleb Joseph home from second easily. Orioles up 4-3. An ultra-rare Jackie Bradley Jr. misplay in CF sees Caleb Joseph rewarded for once on a hard-hit ball right at someone, and the Orioles lead 5-3. Cedric Mullins drives in another run on a top-spin grounder that bounced over Brock Holt at second for a base hit. Orioles lead 6-3 and he has two run-scoring hits already. Cedric Mullins made his first catch of the routine variety before tracking all the way to essentially LCF and having a Jackie Bradley Jr. ball go off his glove for a triple. Orioles lead is 8-4. Adam Jones has three hits, a stolen base, and two RBIs today. Dylan Bundy strands two in a scoreless fifth. He's allowed five runs (four earned) on six hits with three walks and three strikeouts. The Orioles lead 8-5. Brock Holt homered on the first pitch of the sixth inning, and the Orioles lead is down to 8-6. With his two-out walk in the fifth inning, Cedric Mullins is the first Orioles debutant with two hits and a walk since Jonathan Schoop on Sept. 25, 2003, according to @baseball_ref Play Index. Since team came to Baltimore, 20 have two-hit debuts. No one has three. Dylan Bundy left two for Miguel Castro, who walked Mookie Betts, got a force at home, allowed a sacrifice fly, and reloaded the bases with an IBB to J.D. Martinez to get to Xander Bogaerts. The Orioles are up 8-7. Donnie Hart issues a bases-loaded walk of his own, and the Orioles' lead, once at 8-3, is now a 9-8 deficit. A two-run single off the bottom of Tim Beckham's glove puts the Orioles down 11-8. That Red Sox sixth inning included a home run, two singles, five walks, and six runs off three Orioles pitchers. Home run, Tim Beckham. His seventh of the year has the Orioles down 11-9. 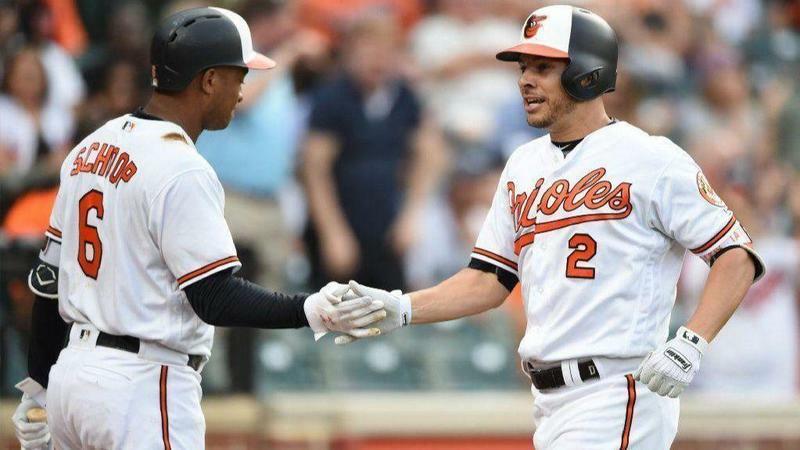 Mark Trumbo singled, went to third on a Trey Mancini double, and scored on a sacrifice fly by Chris Davis to cut the Orioles deficit to 11-10. 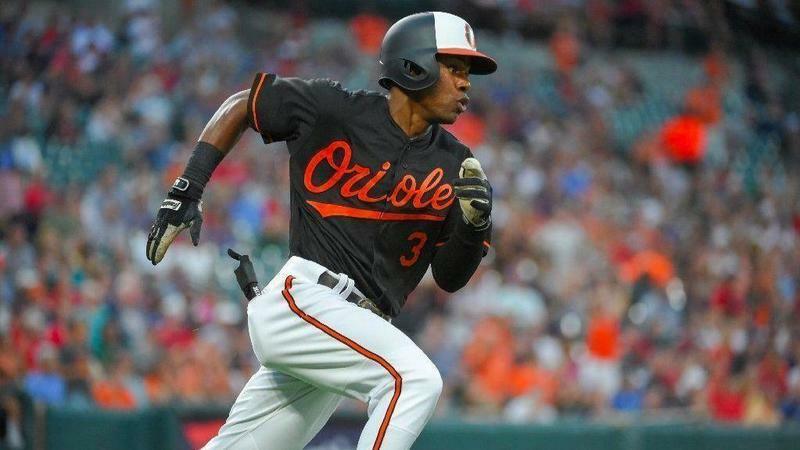 Jackie Bradley Jr. doubled, Mookie Betts singled off Jonathan Villar's glove, and Andrew Benintendi homered to right-center to put the Orioles 14-10. Mookie Betts has a bases-loaded double to put the Orioles down 17-10 and bring in Tanner Scott for Evan Phillips. J.D. Martinez singled through the left side to put the Orioles down 19-10. 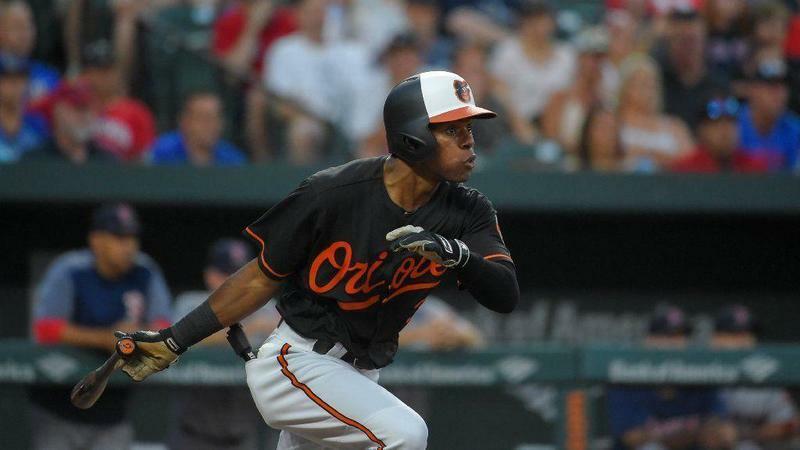 Cedric Mullins doubles to give himself the first three-hit debut in Orioles history.